A natural look, cut and feel on this absolute black marble sink. The inside of the sink and polished smoothly giving is a shiny look. 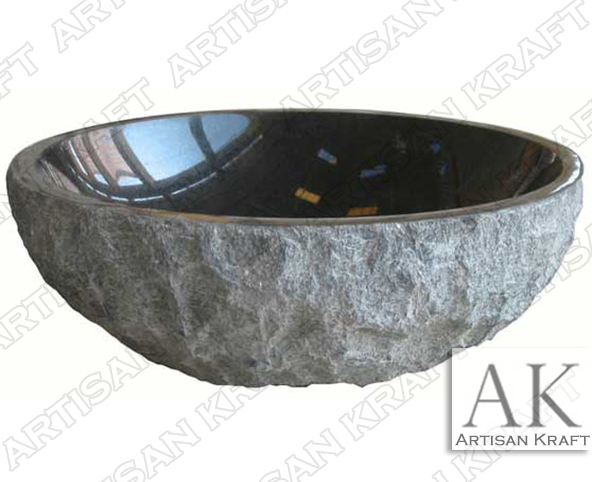 Natural Absolute Black Stone Sink. These are great as a vanity sink on a marble countertop in a bathroom. We have a large selection of stone products including bathtubs and fireplaces.